Rubery is a village in the Bromsgrove district of Worcestershire. The village is 9 miles (14 km) from Birmingham city centre. Situated just 9 miles from Birmingham city centre, Rubery is one of Bromsgrove’s most charming villages. The whole family can find something to enjoy in Rubery thanks to the exceptional Great Park entertainment and retail complex. When searching villages such as Rubery for property to buy, you never know what gems you might uncover.  With Love Your Postcode you can be sure of finding a home as charming as the village itself. The Rubery pyramid of schools works on a three tier system, with high schools, middle schools and first schools. To name just a few schools: Beaconside Primary & Nursery School, Holywell Primary School, Waseley Hills High School and Sixth Form Centre, Holly Hill Methodist C of E Infant & Nursery School. This area has many places of interest, each with ample and convenient parking. Its attractions have popular appeal, this friendly zone offers plenty to see and do in order to keep the whole family entertained. In recent years Rubery has benefited from Great Park, which provides numerous leisure activities, namely an Empire Cinema, Hollywood Bowl, Gala Bingo, Nuffield Health, Frankie & Benny’s, Chiquitos, Brewers Fayre and a Premier Inn. Train – Longbridge Station sits on the Cross-City line and is only a short journey from Birmingham New Street station. From there, the 68 bus and a short walk will get you into Rubery. Bus – Bus routes throughout the Midlands pass through Rubery. Car – The M5 conveniently connects Rubery with the rest of the UK. Are you interested to know the house prices in this area? Read our article: How much does a house cost in Rubery? Our Estate Agents in Rubery give your home maximum exposure online & offline, getting it more views from potential applicants, therefore more offers, and ultimately the highest possible finishing value. This means you end up with more money in your pocket and you enjoy a higher quality service. Call us on 0800 862 0870, download our property app or book a free online property valuation today.